This is NOT a review of Kimsyorkiehome.us. Kimsyorkiehome.us is part of a criminal organisation which steals money by falsly claiming to sell pets. Kimsyorkiehome.us is not a puppy breeders website and this is not a review of Kimsyorkiehome.us. This is a warning. They claims to sell puppys but the domain was actually created by criminals in order to defraud people wanting to buy a yorkshire terrier. They will even send you “proof” by showing you pictures they have stolen off the internet of yorkshire terrier puppys. Kimsyorkiehome.us will claim to deliver the puppy using a Fraudulent Delivery company. 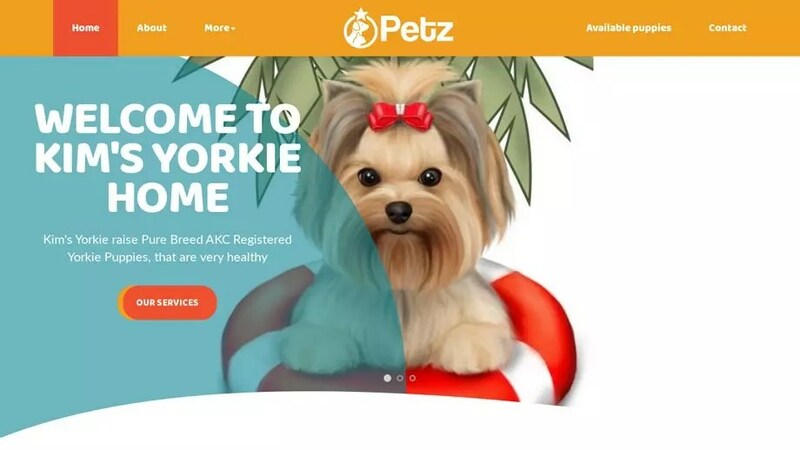 To see more scam websites involving yorkshire terrier puppy have a look at Yorkshire Terrier Puppy Scams. Kimsyorkiehome.us was registered on October 12, 2018 with NameCheap, Inc. .
Kimsyorkiehome.us was registered using the email address hussainamjad9888@gmail.com. Kimsyorkiehome.us was registered with the domain registrar NameCheap, Inc..
To send an abuse report to NameCheap, Inc. please click the red button below and complete the email to help shut down Kimsyorkiehome.us!